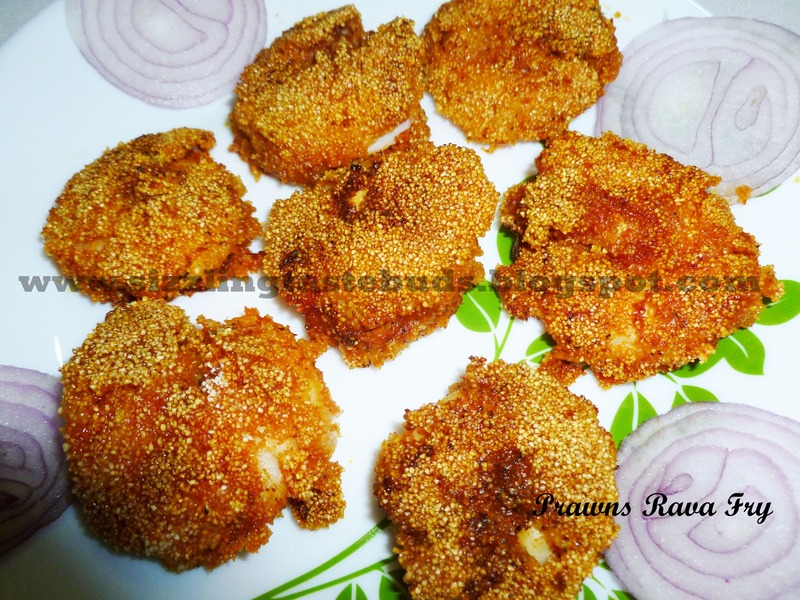 Here's the recipe of Yummy and Spicy Rava Tava Prawns Fry. 1. Clean the prawns and wash it properly. 3. Apply the above paste to the prawns and its better to marinate atleast for half an hour. 5. Meanwhile coat the marinated prawns with rava / sooji and place it on the tava/pan. Fry on both sides till they are done. Add more oil if necessary. Spicy and yummy Rava Tava Prawns fry is ready to serve. Enjoy this hot and spicy Rava tava prawns fry with rice and dal and let me know your feedback. Here's the recipe for Fish Fry. This looks delicious! Going to make it with some of the prawns I scored at the fish market this Thursday. Thanks!